$25 Per Week Payment Plan to Get Out of Jail! Bail information: What it cost to get them out of jail now. Charges: What crime are they accused of. Next court date: When they will see the judge. This is the biggest Jail and is located on 330 South Casino Center in downtown Las Vegas. The large buildings and imposing towers span over an entire city block right behind the Golden Nugget Casino. With that said, the main lobby is open 24 hours a day. However, the bond posting window will close every day from midnight until 8 in the morning. If you want to get someone out of the City of Las Vegas Jail, you must post bail before midnight. You can perform a City of Las Vegas Jail Inmate search by using our Inmate Search Database. Please note that the booking process can take up to four hours. Until the inmate completes the booking process, they will not show in the system. Our friendly staff will find them and be able to provide bail information, charges and next court date. You will find it between between Mojave and Pecos. When you are driving East on the 95 Freeway can see the detention facility backed up against the Freeway. You cannot miss the compound, which has large barb-wire fences and tall walls surrounding it. 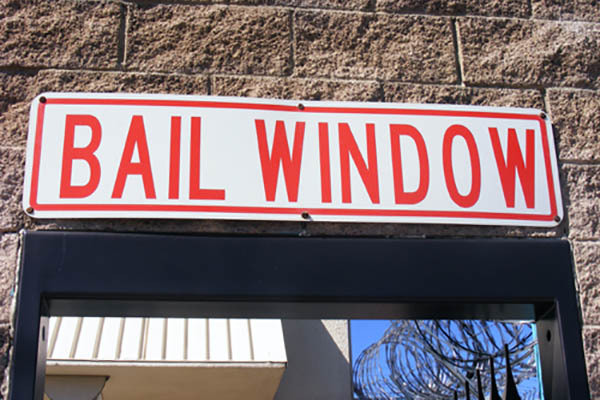 The bail window at the City of Las Vegas Jail is facing Stewart Street. It is open for inquiry and a for a City of Las Vegas Jail Inmate search, 24 hours per day. There is plenty of parking right on Stewart Street in front of the Jail bail window. Here you can find out if your friend or loved one is under arrest. You can also find what their charges are and bail amounts, as well as next court dates. You can utilize this search tool by typing their first two to three letters in the “Last Name” bar. In addition, please note that the inmate might not show if they are still in the booking process. The booking process can take up to four hours. Once completed the inmate will show up in the inmate search directory. A friendly operator will search and locate the City of Las Vegas Jail Inmate. They can provide you with their charges, bail information as well as next court date. You finally located your friend as an inmate in the Las Vegas Jail and don’t know what to do next. Almost all Las Vegas Jail Inmates want to get out of Jail as fast as possible. Therefore, the following options will help you in making a quick decision. This is the most expensive option. This option requires you to go to the City of Las Vegas Jail and pay the full amount. The full amount of the bail is usually in the thousands or even tens-of-thousands of dollars. Most people do not have that kind of money on hand to get someone out of jail right now. Furthermore, the best option is to pay a fraction of the bail. It is best to save the rest of the money for an attorney. This is the fastest way to get an inmate out of a City of Las Vegas Jail now. You would want to hire a licensed and accredited bail bond company. Contact eBAIL where you only need to pay 15% of the full bail amount to get someone out of jail. If you do not have the 15%, eBAIL can provide you with financing and easy payments. 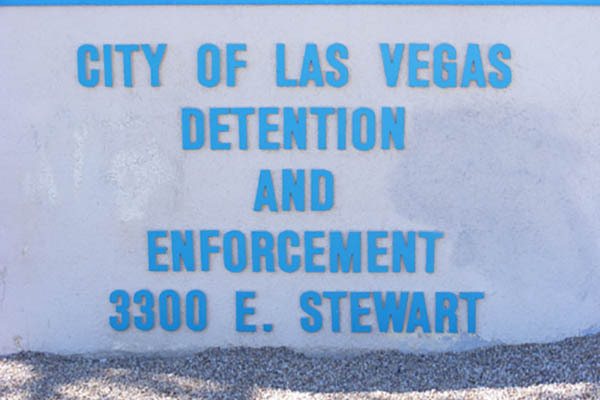 Our friendly staff will immediately perform a City of Las Vegas Jail Inmate Search. Therefore, once we find the location of the person, we can start the bail bond process. This process usually takes 15-30 minutes for us to post the bail bond at the City of Las Vegas Jail. Once the bond in posted the release process of the Las Vegas Inmate has started. Hiring a reputable company such as eBAIL is your best option. You can start the City of Las Vegas Jail inmate bail process ONLINE in 3 minutes or less. We have licensing from the NV Department of Insurance and also have accreditation from the Better Business Bureau. We have authorization to post bail for the release of an inmate out of any City of Las Vegas Jail. For your bail bond needs, don’t gamble on any run down bail company in a scary part of town. eBAIL has nice offices at 3100 E. Charleston Suite 108 and our friendly, professional staff is available 24 hours per day. You will be happy choosing eBAIL to perform the City Las Vegas Jail Inmate Search. Also, we will find them faster than if you called the jails directly! The release times on both jails range from 6 hours to 16 hours. The amount of time it takes for the inmates release depends on if the jails are busy. In addition, there will also be a delay if the jail is experiencing a lock down. For security reasons nobody at the detention facilities will be able to give you an exact release time. The best thing to do is to wait until you receive the inmates phone call. For specific answers to your questions, please call our friendly staff 24 hours a day.